Sony PSP Phone Is More Real, Codenamed "Zeus"
After a Sony rep originally said the photos of the PSP phone were fake, more sources are coming forward to verify its existence. We reported yesterday on the photos of what looked to be a Sony Ericsson cell phone with gaming controls on a slide-out tray. After the photos were posted by tech blog Engadget, a Sony representative said that the pictures were definitely fake and that they would give no further comments on rumors and speculation. Now though, Sony sources closer to the actual production of the phone claim that the pics are real. More details emerged including one source saying that the prototype is based on PSP 1 technology, it uses the Android OS, and it is codenamed "Zeus." While not directly commenting on the existence of the PlayStation Phone, Peter Dille senior vice president of marketing at Sony Computer Entertainment of America, did point out to CNN that gamers are unhappy with the iPhone as a gaming platform. He said that the games that you can play with Apple's device are largely unsatisfying. "These are largely time-killers," Dille said. "Gamers aren't satisfied with that." Dille also hinted that the lack of a cellular connection may be negatively affecting sales of the PSP for gamers who want a more ubiquitous internet connection. "The PSP is a Wi-Fi device," he said. "People are used to having always-connected devices." While the chief Greek god Zeus is certainly a great name for such a device, perhaps Sony should have called it something a little less mystical. After all, the track record for a gaming cell phone is not so good. The PSP begs direct comparison to Nokia's failed N-Gage, which never found an audience. On the other hand, with the success of Apple's iPhone and the games on its App Store, perhaps the common consumer is more familiar with the concept of gaming on their communication device than they were when the N-Gage came out in 2003. 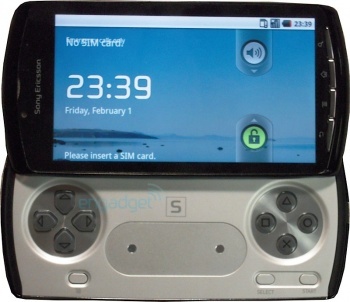 Would you buy a phone that could play PSP games? What about a Nintendo phone/DS hybrid?